Though the mayor of San Bartolome claims that the horses "don't suffer anything at all," their fear is obvious from the festival photographs. Even if the horses make it through the festival physically unscathed, they experience intense terror when forced to jump through the flames. That terror is ignored as the rider steers the horse to the next fire. Forcing a frightened animal to leap through the flames to "protect" them for the year is a ridiculous superstition and a cruel tradition. Tell the mayor of San Bartolome to end the use of real bonfires during Las Luminarias. 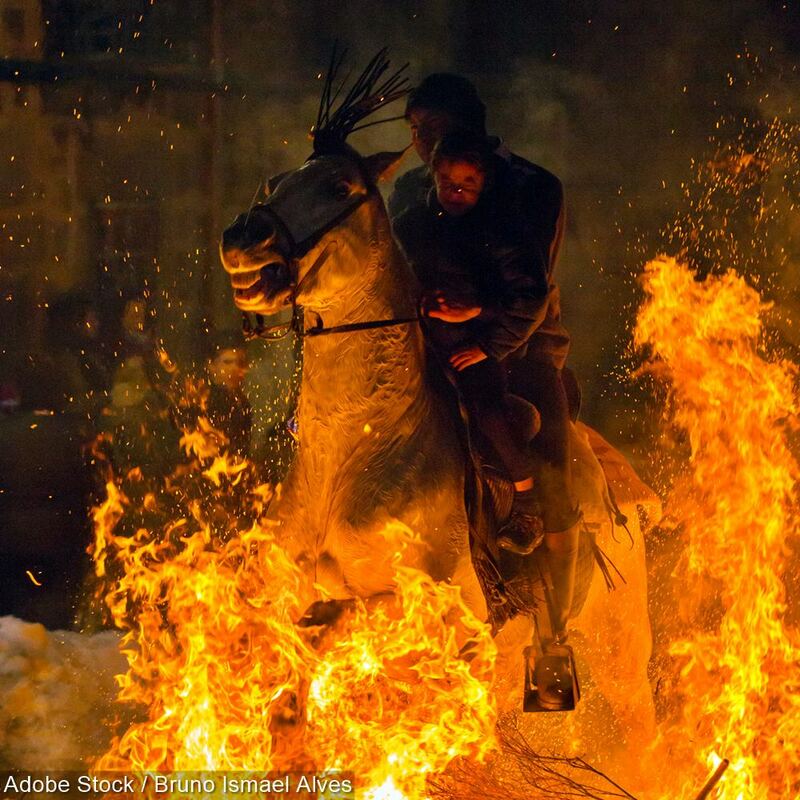 If they must continue this tradition, stop terrorizing the horses and use symbolic fire instead. These horses experience psychological trauma directly caused by forcing them to leap through raging bonfires. Las Luminarias needs to be changed to reflect modern times. A cruelty-free festival could easily be accomplished by simply using symbolic fire that doesn't frighten and singe the horses. I understand the festival has taken place for 500 years, but the world has progressed, and so should the town. That's 23,106 signatures! Let's keep the ball rolling.